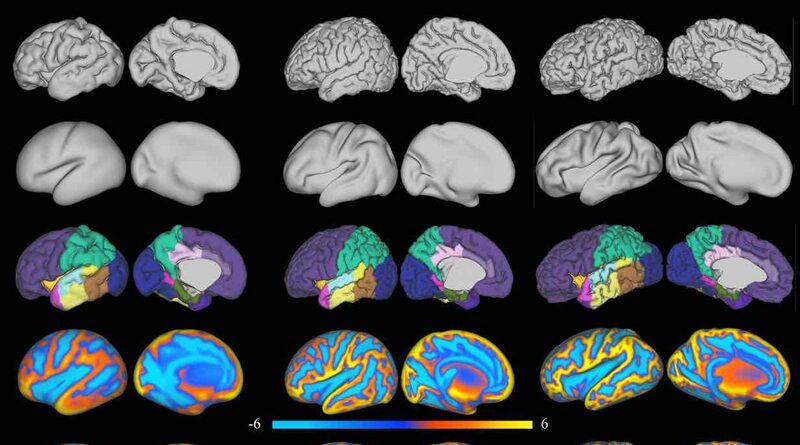 Excited to present my work on temporally consistent modelling of the neonatal brain morphology from structural brain magnetic resonance (MR) images at the Centre for the Developing Brain at King’s College London, St’ Thomas Hospital. Axial mid-sections of mean intensity and shape templates at 40 weeks PMA. After providing some background on brain atlas construction, the talk focuses on our novel group-wise approach for the construction of an unbiased spatio-temporal brain with improved temporal consistency, lower computational cost, and considerably higher cortical detail than previous neonatal atlas construction techniques. 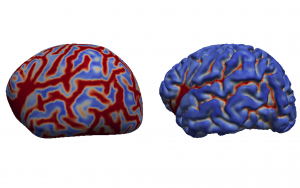 It is a summary of our work detailed in Schuh et al., “Unbiased construction of a temporally consistent morphological atlas of neonatal brain development”, preprint available on bioRxiv (doi:10.1101/251512). A MIRTK version for the structural pipeline of dHCP, including our neonatal cortex reconstruction, has been released. 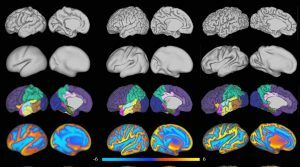 A preprint of our article “The Developing Human Connectome Project: a Minimal Processing Pipeline for Neonatal Cortical Surface Reconstruction”, covering the full structural image processing steps, following the MR volume reconstruction, from whole brain segmentation to the reconstruction and spherical mapping of the neonatal cortex, is now available on bioRxiv (doi:10.1101/125526). I have just released MIRTK version 1.1. This release gets rid of bugs, runs on Linux, OS X, and Windows, and provides a Python package for execution of MIRTK commands in a pipeline script. The commands now support the NIfTI-2 image file format for large images and the GIFTI file format for cortical surface meshes as used by the HCP project. The build system has further improved with CMake BASIS 3.3 and automated builds help to keep the project stable. An Ubuntu 14.04 Docker image with MIRTK pre-installed is available from Docker Hub the quickest way to getting to know MIRTK or to perform reproducible experiments in a confined environment! This release starts a new era in the development of the CMake BASIS project. Many artifacts from its origins have been discarded from the revision history to move forward with a lighter and easier to integrate repository. This version of CMake BASIS includes a number of fixes and improvements, mainly driven by the project modularization and CMake BASIS Modules integration demands of the MIRTK project. As you are certainly aware of, you are just visiting the personal site of Andreas Schuh, now powered by WordPress. May it be by mistake or intention, feel welcome to explore and discover this site. The About Me page might be a good starting point when you want to find out more about my person or when you just want to make sure that the Andreas Schuh you were looking for is actually me. Feel free to get in touch via any of the social media sites linked at the bottom of any page, but preferably via email.